Logitech Flow transforms any older notebooks or tablets into productive assistants that you can use alongside your main PC. Logitech’s MX Master 2S wireless mouse justifies its $100 price tag with an elegant, ergonomic design that includes two features not found on the competition: two mousewheels, plus a superb software feature called Flow that allows you to work on and transfer files between neighboring PCs. Like its rival, Microsoft’s Surface Precision Mouse, the MX Master 2S is Logitech’s flagship productivity mouse, though with enough sensitivity for gaming. Right-handers will find the MX Master 2S as ergonomic as it is lovely, with flowing curves and elongated buttons that accommodate a variety of hands. Lefties, though, won’t find the mouse to be nearly as comfortable, and I’m still on the fence about whether it’s an acceptable long-term solution. Viewed from behind, the Logitech MX Master 2S looks somewhat otherworldly. It favors right-handers, with a pronounced, flaring thumb rest. Measuring a massive 1.9 inches high, 3.4 inches wide and almost 5 inches deep, Logitech’s unabashedly voluptuous, seven-button, right-handed mouse gracefully reclines across most of your mousepad. It skews heavily toward right-handers, with a tilt that approaches thirty degrees or so on its top surface. A generous thumb rest flows out from its underside like a breaking wave, or the flaring train of an evening dress. Like other Logitech mice, the MX Master 2S offers a choice of connections. 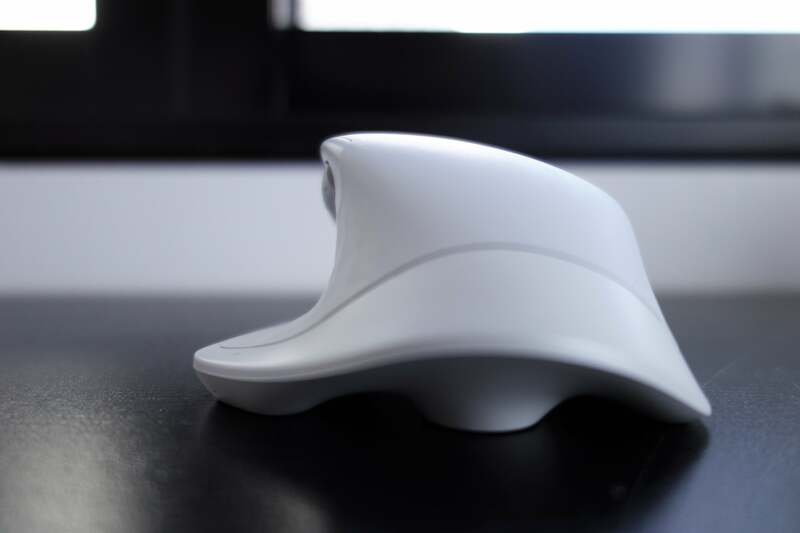 It can function as a Bluetooth mouse, assuming you have a Windows 8 or younger PC capable of supporting Bluetooth Low Energy connections. The USB receiver offers a dedicated connection (at the sacrifice of a port) that's necessary for Windows 7 PCs. On certain machines we tested, the receiver connected more quickly after resuming from sleep than the system’s own Bluetooth, so pick what works for you. 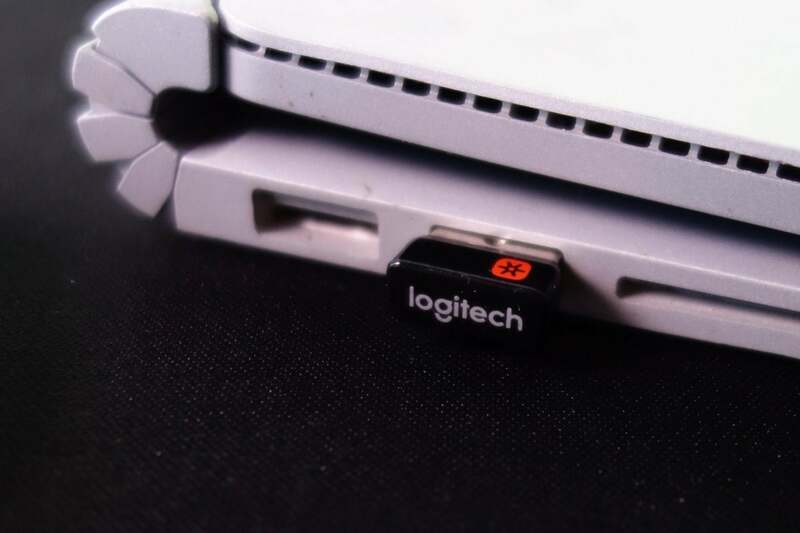 Though a USB dongle seems somewhat anachronistic in the age of Bluetooth, Logitech’s Unifying Receiver is still a superior solution for environments with lots of Bluetooth devices, or just an older PC. The MX Master 2 S opts for a gray-and-silver aesthetic. The “Logi” brand features prominently on the broad left- and right-hand buttons, cut with such distinctive gaps that I can’t help but wonder what sort of schmutz will work its way in over time. As is becoming more common, a broad mousewheel can either spin freely or ratchet back and forth incrementally, especially useful for navigating menus. Switching between the two is controlled by a small button mounted behind the thumbwheel, which is configurable. Via Logitech’s Options software, you can also enable “SmartShift,” which automatically switches the scroll wheel from ratcheting to a free-spin mode depending on how quickly you spin it. It’s an interesting concept. It’s the second (yes, second) mousewheel that you might find intriguing. Logitech’s MX Master 2S clusters three buttons within reach of a right-hander’s thumb, on the left-hand side of the mouse. Two are narrow slivers of plastic, generally serving as “forward” and “backwards” shortcut keys for Web browsing. But there’s also a small, free-spinning thumbwheel, ostensibly designed for horizontal scrolling. Two thumb buttons provide “forward” and “back” navigation, though they’re configurable. The thumb rest is itself a large button, easily depressed by right-handers, but less so by lefties. You may need to tweak the associated Options software to maximize the utility of the MX Master 2S horizontal thumbwheel. By default, the thumbwheel is configured to scroll back and forth horizontally, such as in a multiple column view I have in place using the Hootsuite Web app, or within a spreadsheet. Using the associated Options software, you can also configure it to scroll left and right between browser tabs. Unfortunately, the mouse is not contextually aware enough to do both. A final, hidden button hides beneath the thumb rest. Click down on that, toward the mousepad, and the MX Master 2S opens the task view by default. All of the buttons are reconfigurable, naturally. I also noticed that when I had a Logitech keyboard connected (the Logitech Craft) additional gesture-based options became available when tapping the CTRL key. 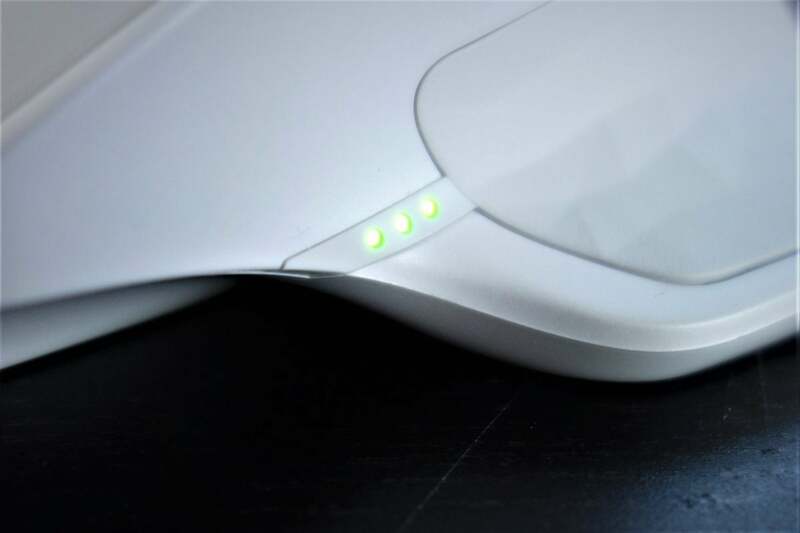 Three small green LEDs appear on the left-hand side of the mouse, which light up in succession as the mouse is charging its 500mAh battery. Charging occurs via an included micro-USB cable, which also lets the MX Master 2S function as a corded mouse. When all three LEDs are lit, the mouse is fully charged, good enough for what Logitech claims is a full 70 days of use. Logitech also claims that just a few minutes of charge will last you an entire day, a claim that seemed to be true. Three small green LEDs indicate the current amount of battery life. By default, the Logitech MX Master 2S can be powered for about 70 days on a single charge, Logitech says. Unfortunately, there doesn’t seem to be any way to manually check how much charge the mouse has retained, save to dig through the Options software to find the small battery icon at the bottom of the main page. Weighing just short of a third of a pound, the MX Master 2S glided effortlessly across the ergonomic mousepad I use at home, as well as the gaming pad I also tested with. Whether it was the increased DPI, its physical design, or just a serendipitous combination of settings, I felt like the MX Master 2S tracked more smoothly than its rival, the Microsoft Surface Precision Mouse. Part of that could be chalked up to Logitech’s “darkfield” sensor technology, which is included. 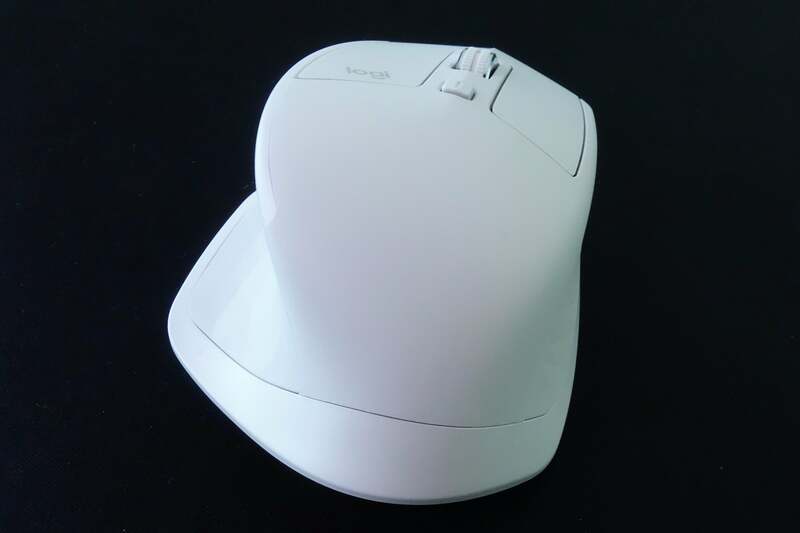 The mouse’s dpi sensitivity can be adjusted in the associated Logitech Options software, from a nominal value of 1,000 dpi to between 200 and 4,000 dpi, in 50-dpi segments. Pointer speed can be adjusted there, too. Aesthetically, the Logitech MX Master 2S is sensually sculpted and gorgeous. If there’s any criticism I have of the overall physical design, it’s that most of the logical paths of resistance trigger some action. Put another way, if you mis-grip the mouse, or apply leverage in an unapproved way, you risk triggering an unintentional button press. 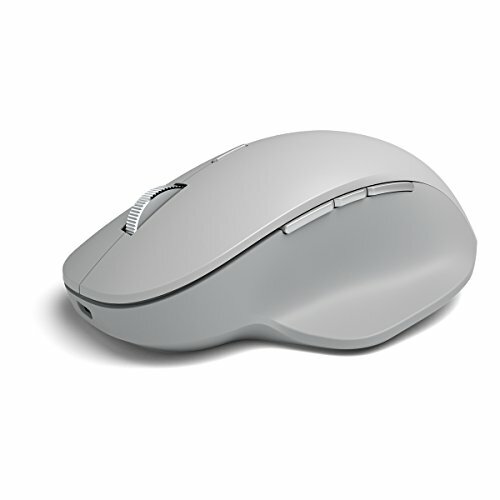 Be aware, though, that this is an unabashed right-handed mouse. 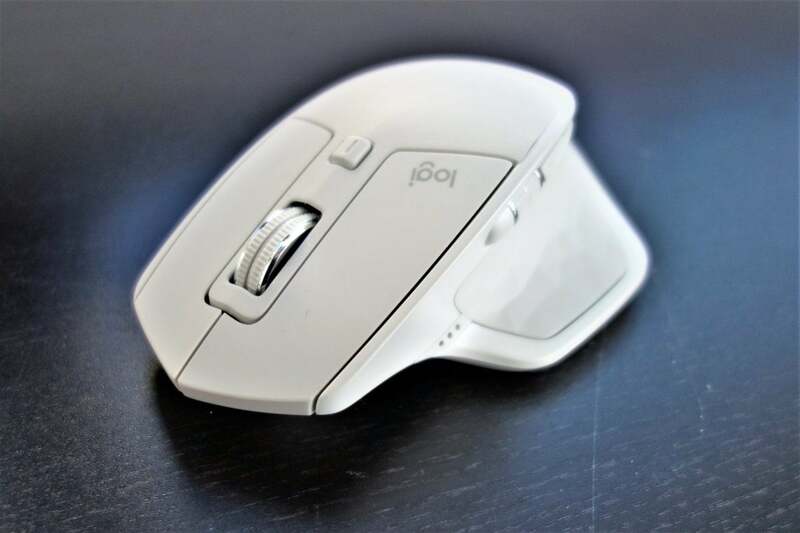 While the Logitech MX Master 2S should be comfortable for those with smaller hands—the mouse buttons retreat far enough back to accommodate smaller fingers—righties will find that their hand falls comfortably across the width of the mouse, while the lefties will end up balancing their palm on the left-hand-side of the mouse. While using the Logitech MX Master 2S with my right hand, I found the mouse very comfortable to use. The thumb buttons and horizontal scroll wheel were easy to reach and use. As a lefty, though, my ring finger tended to wander off the front of the thumb rest onto the mousing surface, tiring it out after a day of use. When testing it again after a day or so of inactivity, though, I found it more comfortable, especially if I placed two fingers on the thumb rest. Still, lefties might be better off with Microsoft’s more ambidextrous Surface Precision Mouse. One of the (almost) unique features of Microsoft’s Surface Precision Mouse was its ability to “leap” between PCs, using a technology called Smart Switch. Provided each PC is connected via Bluetooth to the mouse, running the Precision Mouse to the “edge” of each connected PC’s display allowed you, after a pause, to shift to the next PC in line. While it felt a bit gimmicky, it certainly was a novel trick to transition quickly between a work and home PC. The Logitech Flow software works in a similar manner, but with broader, more powerful functionality. With Flow, you can not only connect to multiple PCs—but also transfer text, images, and even files between them, all protected with AES-256 encryption. Simply move the mouse to the edge of the screen, and it teleports to the other PC, faster than Microsoft’s Smart Switch does. Logitech even helpfully provides an option to trigger a Flow transition only when you press the Ctrl key. 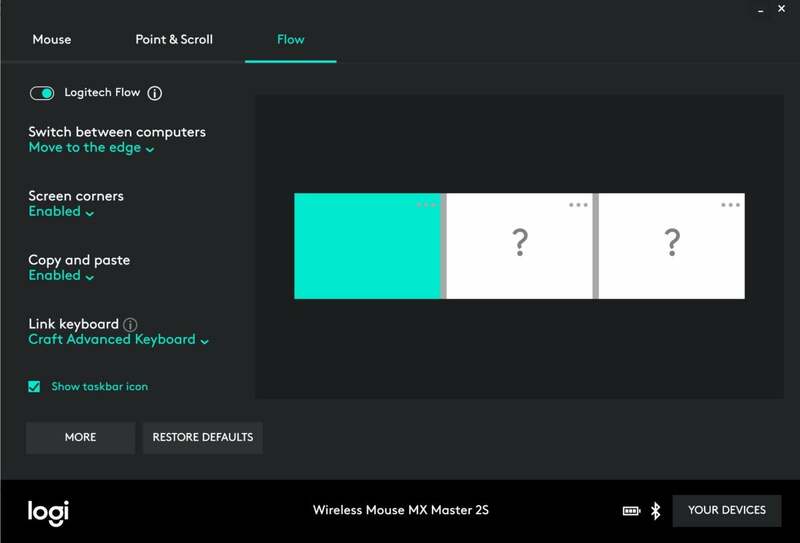 The Logitech Flow options screen. Screens can be oriented either horizontally, vertically, or both (such as an “L” shape). Flow connects up to three PCs (or Macs), just like Smart Switch. You’ll need to install the Logitech Options software on each device, then connect them to the mouse via either Bluetooth or the Unifying Receiver. All Flow-connected PCs also need to be connected to the same wired or wireless network. I was able to connect one PC with the receiver, and one with Bluetooth, and send data back and forth without issue. The only limitation may be your firewall: ZoneAlarm, in particular, seemed to want to block Flow connectivity. Think of Flow as a handy “sneakernet” replacement, where you don’t have to dig out a USB key. For shooting a Word document or text snippet back and forth between PCs, it’s extremely handy. But for larger files, transferring data is only as fast as your own wireless network. Here, a USB key or portable hard drive might be a better solution. Together, Flow-enabled Logitech mice and keyboards become even more powerful. Logitech Flow isn’t exclusive to the Logitech MX Master 2S Mouse. Logitech built Flow into several of its other mice, including the Logitech Ergo and the MX Anywhere 2S, and several keyboards, too. (Logitech lists its Flow-supported peripherals, here. I used the Craft for testing.) And that’s where it really shines. 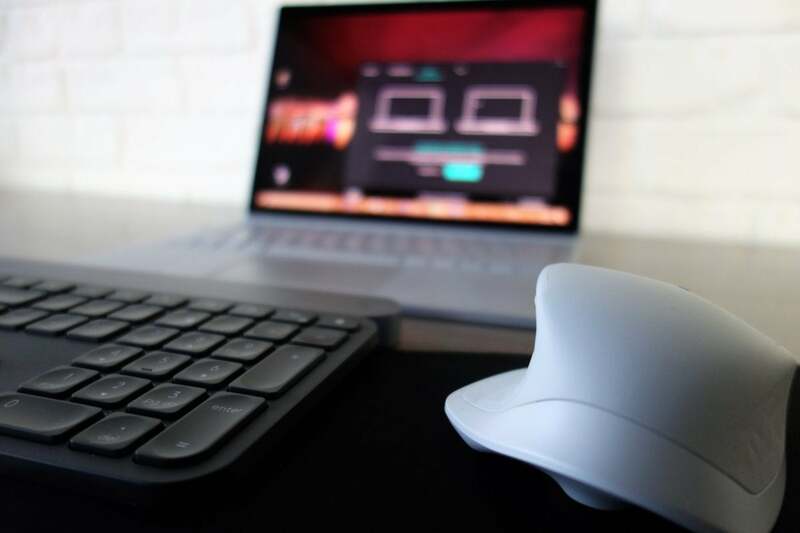 Using a Flow-connected mouse, you can flip back and forth between multiple PCs, but you’ll still need to use their keyboard. Connecting a Flow-enabled mouse and keyboard unlocks a whole new dimension of productivity. Because you can share information between devices, a spare Windows tablet becomes an extra screen. Ditto for that convertible laptop whose “tent mode” you’ve barely touched. Suddenly you’re controlling several PCs and their associated resources from a single keyboard drawer. To be fair, a portion of this functionality is expected to arrive with the spring 2018 update of Windows 10. Microsoft is adding a feature called “Near Share” that allows users to share files via Bluetooth to nearby PCs. But it won’t allow a mouse and keyboard to control another PC, one of Flow’s key attributes. 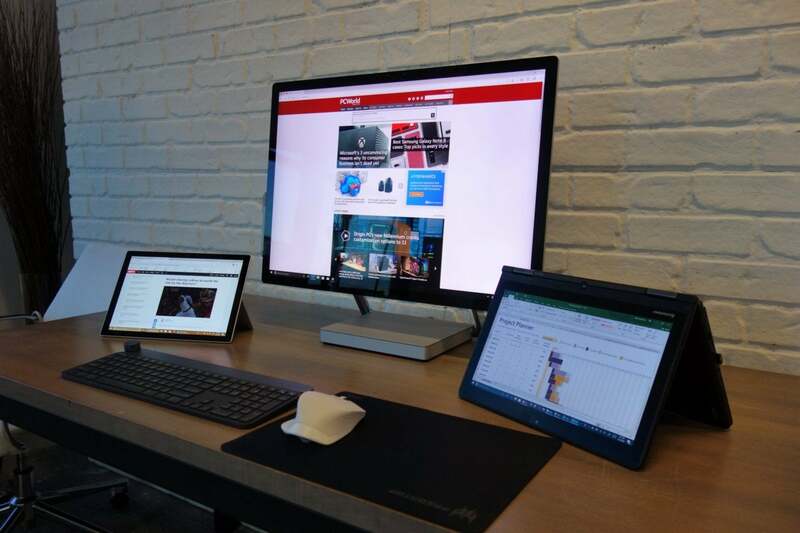 Flow allows those who own a Logitech Flow-enabled mouse and keyboard to use other PCs as secondary displays, like this tablet and convertible. Flow quite simply adds an entirely new dimension to the question of why you should buy a mouse and keyboard. Most of us are used to simply mixing and matching PC peripherals. Flow offers a strong argument for confining your purchases to the Logitech Flow ecosystem. Put simply, Logitech’s MX Master 2S is a superb general-purpose mouse, especially for right-handers. 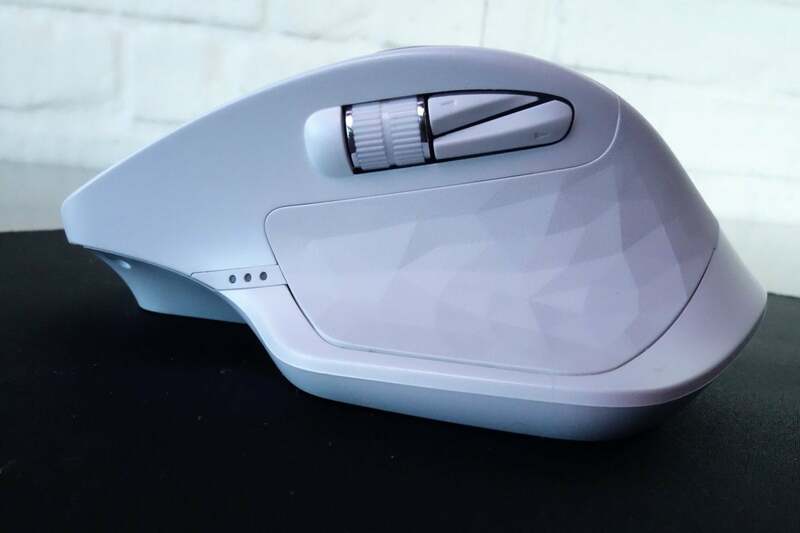 The mouse combines productivity and ergonomics, all blended into a genuinely elegant aesthetic. The only unfortunate note is the lack of concessions to lefties. A left-handed version could well be the perfect mouse for a left-handed PC user. This omission knocks our score down a half-star. Correction: By default, clicking the thumb rest opens the Task View, not the application view.